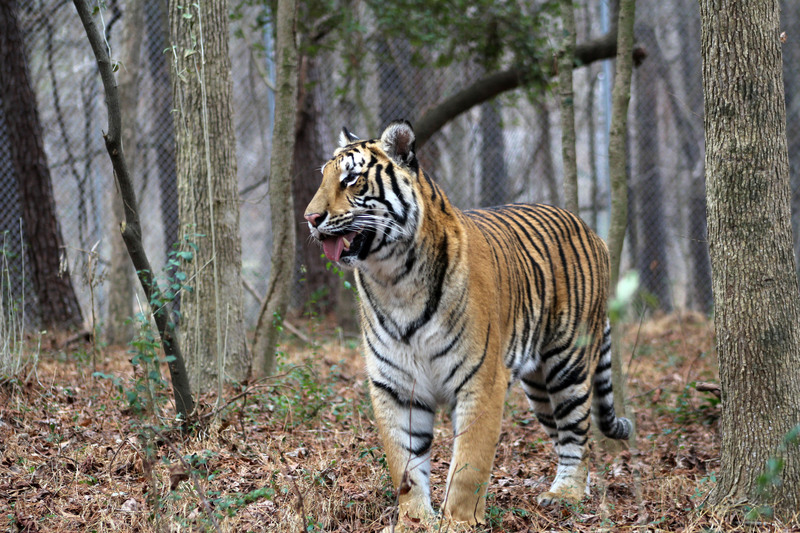 Riley and her sister, Mila, are currently the youngest tigers at Carolina Tiger Rescue. Riley really enjoys enrichment, especially if it means tearing up boxes. Riley tends to be a bit more dominant than her sister, Mila, and will at times push Mila out of the way to get more attention. 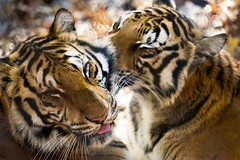 She loved her old neighbor, Max Tiger, and they could often be found chuffling back and forth to one another. Max passed in January 2019. 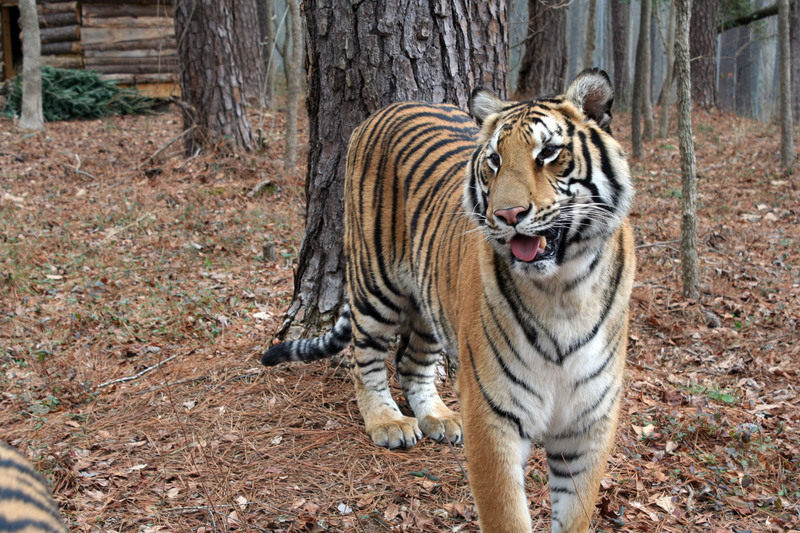 Riley came to Carolina Tiger Rescue with her sister, Mila, and 14 other animals from a facility in Colorado. 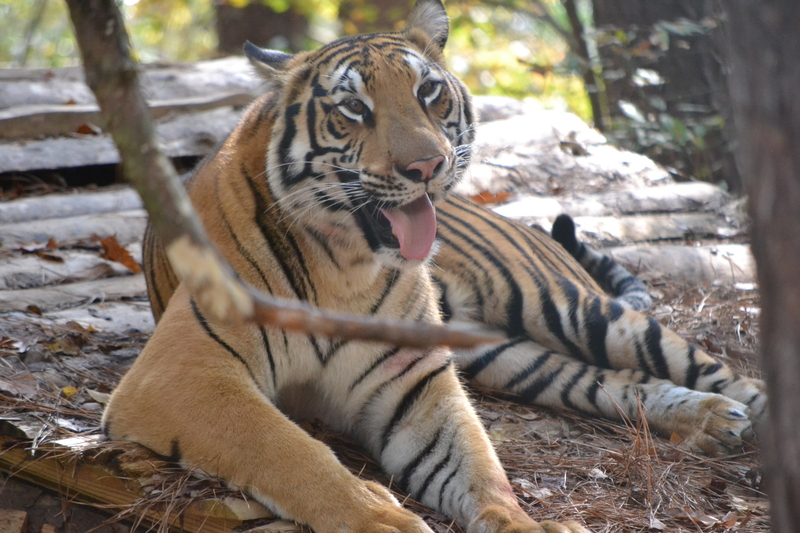 The owner decided to sell his land and donate his animals when he became ill. Carolina Tiger Rescue worked with several other sanctuaries around the country to find homes for over 100 animals. This is the largest rescue in Carolina Tiger Rescue's history and the largest rescue of big cats in the United States. 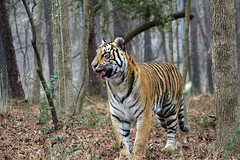 Riley is a very confident, personable tiger who LOVES attention. She is full of chuffles and has a lot to say! 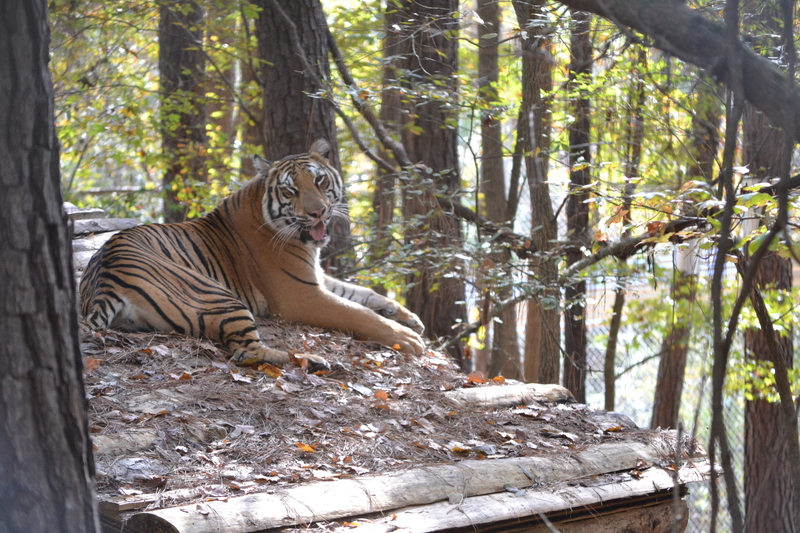 Like her sister, Mila, Riley loves enrichment, especially extracts and scents. Riley is a bit slimmer and taller than her sister Mila. She looks like she is always squinting which is due to being born without eyelids and the resulting surgery to fix it. This does not seem to have any effect on her eyesight or health. Riley also has several notches in each ear. 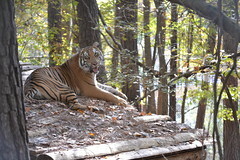 Riley lives off tour with her sister, Mila, in Pine Forest. 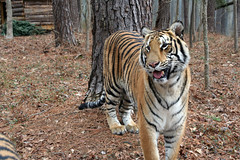 Shira Tiger lives on one side of them and Tasha Tiger is across the path, as are Mona and Moki Tigers. 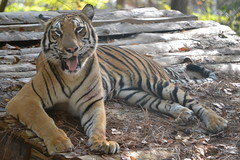 Just down the road from Mila and Riley are Roscoe and Camilla Tigers. The unfortunate truth is that most wild animals are often worth more dead than alive. 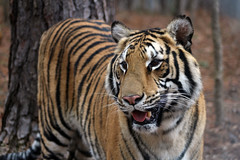 A tiger's worth grows exponentially once it is dead because every part of a tiger’s body, including the ground it dies on can be harvested and sold for a profit. 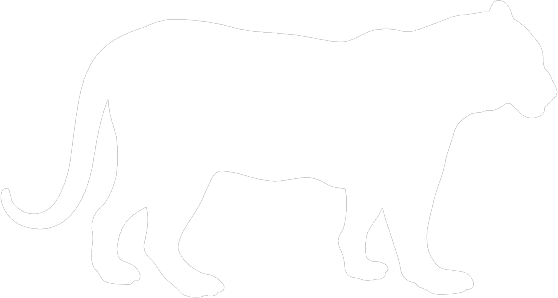 A dead tiger is worth $50,000 to $60,000 on the black market. 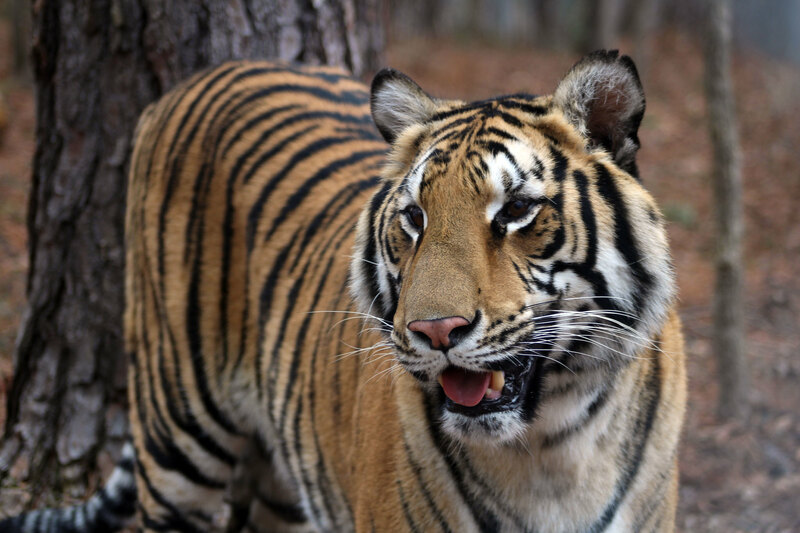 A tiger’s eyes alone can be sold for over $200 to those who believe they can help cure epilepsy, as thought in traditional Chinese medicine. 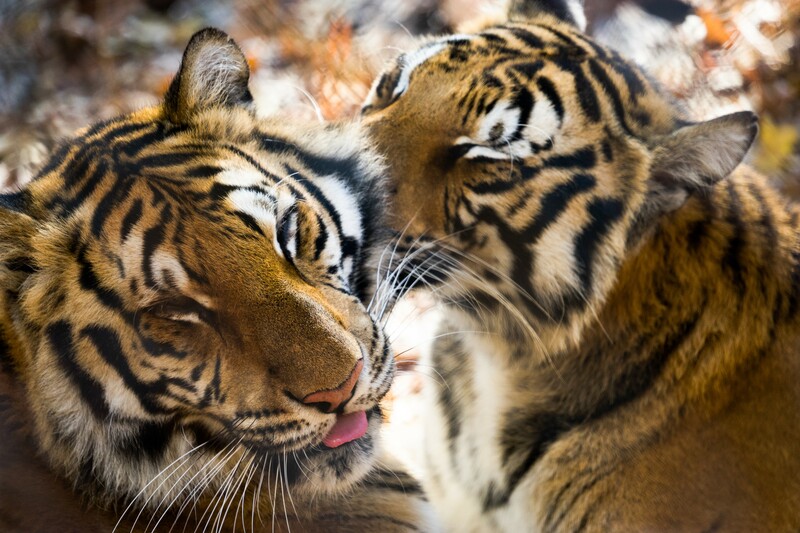 In the last 100 years, poaching has led to the decline of 97% of the tiger’s wild population. 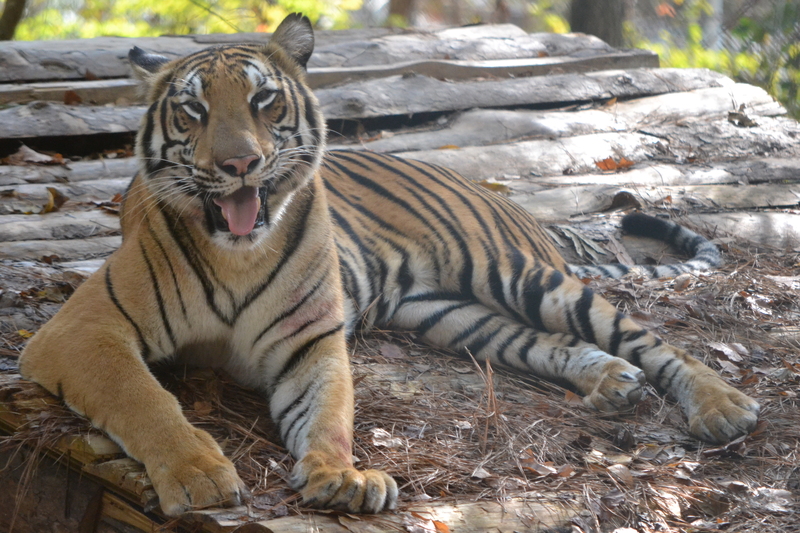 Carolina Tiger Rescue asks that you not support - either directly or indirectly - those who use tiger parts in any form or any who are involved in the buying, selling, or trading of tigers and their parts.